This time around, unlike the Logitech G413 that we looked at a year ago, there’s a choice of three distinct Romer-G mechanical keyswitches, tactile, linear or GX Blue. To compare them to the market leader, the tactile is akin to a Cherry MX Brown, linear is similar to a Cherry MX Red and the GX Blue is most like the Cherry MX Blue. Logitech have provided us with both the Linear and Tactile Romer-G switches to test. 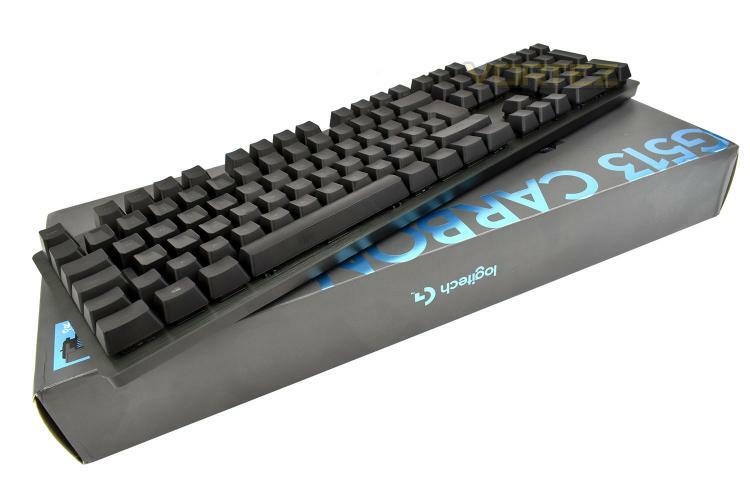 Another welcome feature is a memory-foam wrist rest for increased comfort along with a set of gaming specific keycaps for a better feel. Arriving with a price tag of £159.00 in the UK, it’s pitted against some of the best in the business, therefore we expect nothing short of excellence to ensure its success in an increasingly competitive corner of the market. Without further ado, lets tear them open and see how the perform.